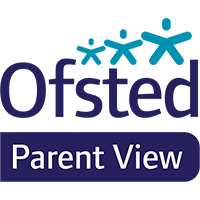 Parental views are essential in informing the work we do at Jack Hunt School and we would therefore like to invite you to take part in 'Parent View'. This is an online facility run by Ofsted which allows parents and carers to give their views about the school at any time of the school year. The questionnaire also gives parents the opportunity to share their views with inspectors at the time of a school inspection. The questionnaire can be accessed directly at https://parentview.ofsted.gov.uk or from the home page of Ofsted’s website www.ofsted.gov.uk. To register on the Parent View site, parents must enter an email address, confirm that they are a parent or carer, and add Jack Hunt School. Once this information has been entered, an email is sent to the specified email address to verify the account. On verification, users select a secure password for their account. Once the login has been activated, parents should follow the instructions on the screen and indicate whether they strongly agree, agree, disagree, strongly disagree or don’t know in response to 11 short statements. Question 12 asks whether parents would recommend Jack Hunt School to others. When Ofsted have received a minimum of 10 responses for the school, the results will be available on the Parent View website for the school, parents/carers and the general public to view. Data is displayed in percentages and in easy-to-understand graphs. The results for each school are saved at the end of the academic year, so provide headteachers and governors with a useful year-on-year picture of parents’ views. Thank you for continuing to support Jack Hunt School.